The third installment of the Hartigans series was a pure delight to read and it book-cased this series brilliantly! Great humor and comedic timing, along with the charming characters of this series, brought the story of ER nurse and all around sports loving tough gal, Fallon Hartigan to life. But this do-gooder wasn’t thrilled when her friend called in a favor, putting Fallon into direct contact with the city’s most hated hockey player, Zach Blackburn, and neither was he. With mutual contempt for one another it was a surprise to all when suddenly Fallon was seen as Zach’s new good luck charm and maybe the very one to change his poor image around the city. With sizzling tension between these two characters that neither wanted to acknowledge, this story made for one fun read! 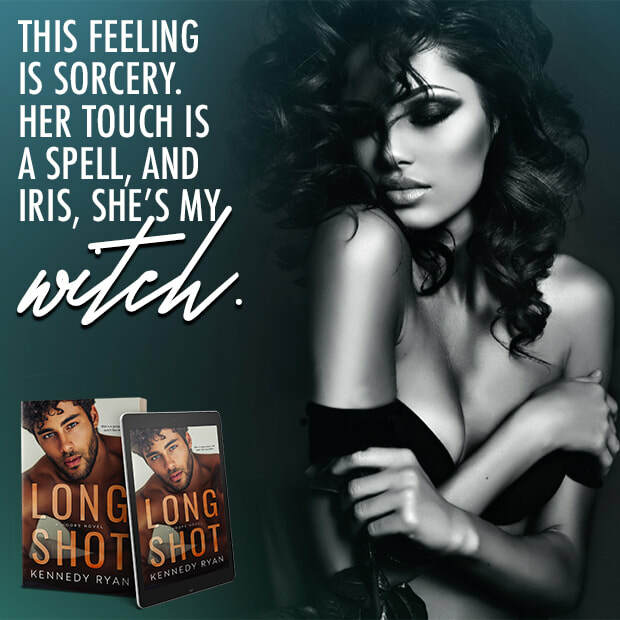 Whether you have read the previous books in this series or not, I know that you will fall head over heels for the very relatable Fallon and her story. n-stop hockey action wasn’t the only thing that had my blood pumping while reading the dynamic story that unfolded while reading The Risk. Equipped with brains and beauty, Brenna knows everything there is to know about hockey. She has grown up around it and its players, being the daughter of a college hockey coach. So, it is no surprise that her dream is to pursue sports journalism. She knows that world is a boys club, but she can keep up with the best of them. So, it isn’t until her hand is forced that she pulls out the name of the last guy she wants help from. Brenna was a force to be reckoned with and an amazing female character that I was so pleased to meet. Experiencing all the emotions and trials she faced throughout the book alongside her was a dream. Being a long time hockey fan, I can say that this book was spot on and had so much action that it was an immense joy to read. So many authors try to write sports action and miss. This was not one of those times. I felt like I had a seat right on the ice. With forbidden love and so much to lose this book was an incredible read! Whether you are a fan of sports related romance books or not, I highly recommend this book for you. Heart and tenderness are something I wasn't expecting going in to read this title about Arizona's premiere hockey goalie and all around tough guy, the “Legend” Bay. The somewhat uptight, stick in the mud player, that I wanted to learn more about after reading the first two books in this fabulous series, afforded me a glimpse into behind the scenes action of the hockey world and so much more. Most importantly this book was full of heart and passion. It demonstrated what can transpire in a person’s life when the most unexpected thing possible could happen and how that person’s actions to life’s curve-balls will not only affect them but everyone around them. This story was full of heated passion, unexpected tenderness, and so much heart. 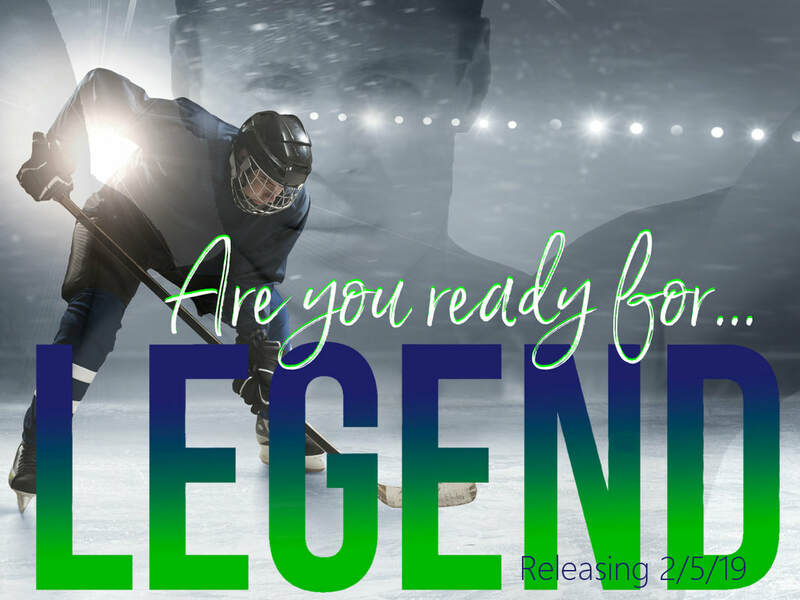 As a reader it was hard to resist Legend as he was revealed to us but even more so the group of support in the Arizona Vengeance hockey family that I only wish I could have by my side. 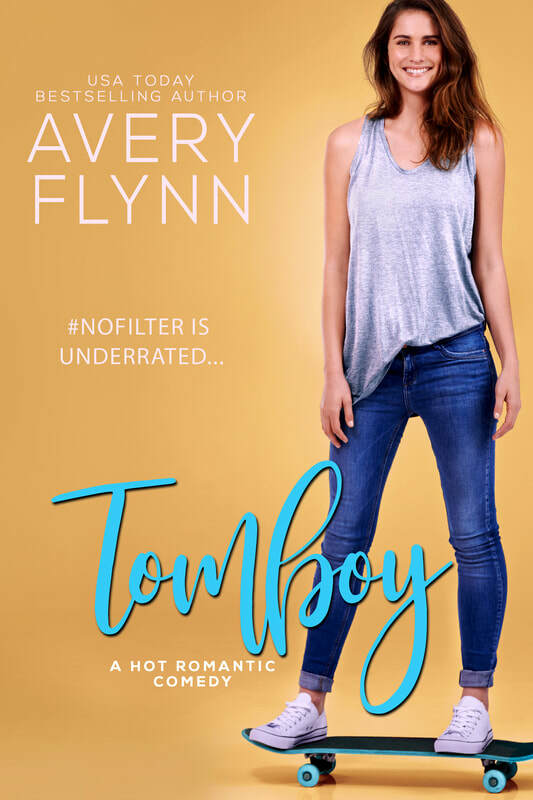 If you enjoy sports romance and are looking for something with a bit more depth, this book will be your next great read! Football superstar Alexei was unlike any other book hero I have had the fortune of meeting. Sure he was an all American athlete but more importantly, he had a heart of gold. So when he sees a woman in distress he doesn't hesitate to act first and ask questions later. Not one to ask for help from others, self-sufficient and independent, Ryleigh is taken back when she is approached by and offered help from a man everyone in the city seems to know besides her. Soon, the traits they both admire in one another spark heat and a more intimate connection... But will pride keep Ryleigh from letting down her guard and letting Alexei into her life and her heart? For that you will have to dig in to this fun read yourself! That was then . . . but what about now? Even as a novella, this holiday romance managed to pack an emotional punch that kept my heart soaring. It had me feeling as if I was on an emotional roller-coaster, of sorts, in the best possible way. 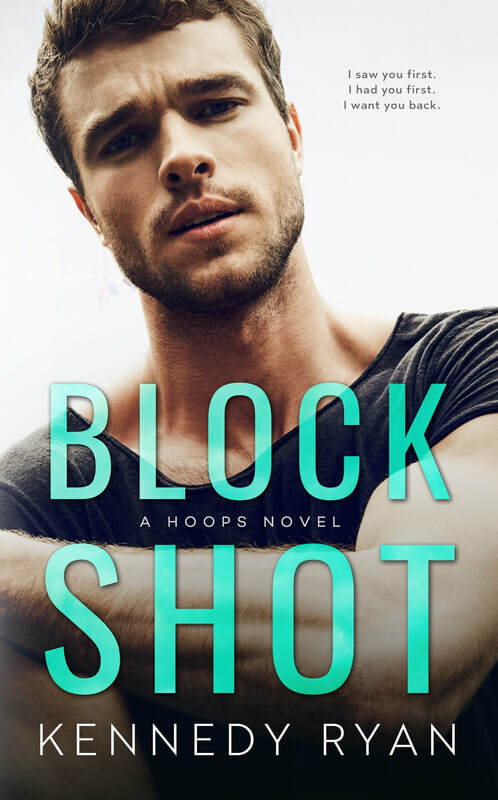 I felt transfixed as the story between Avery, the fiery and determined sports reporter, and Decker, the hot shot, professional basketball player, unfolded. The connection between these two characters was undeniable from the first page until the very last sentence. 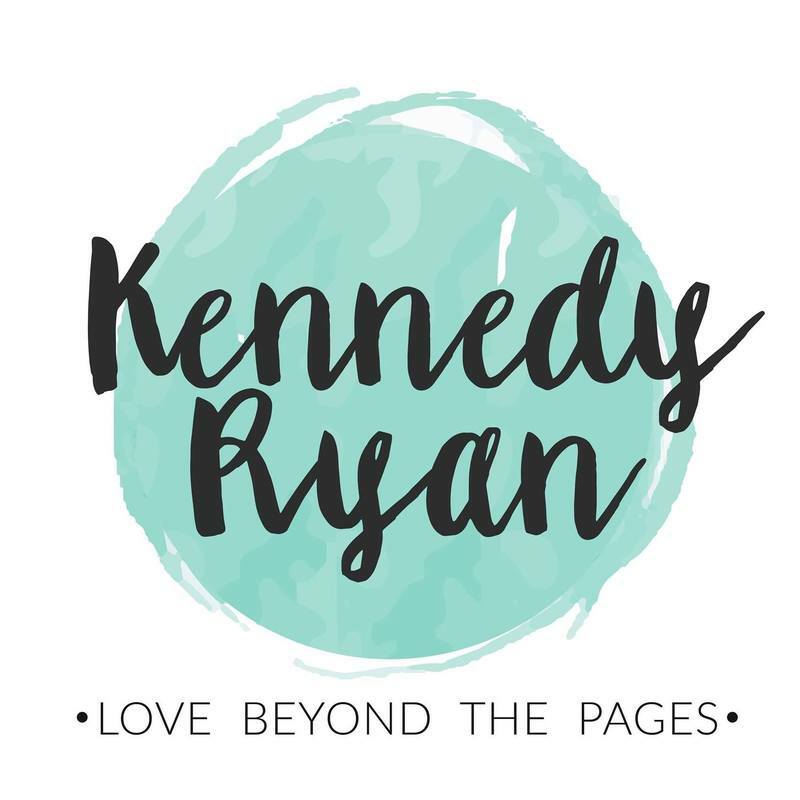 As she does ever so brilliantly, Kennedy manages to weave pertinent social facts and topics with great relevance into each of her stories, framing it around a story that pulls you in. I found myself never wanting it to end. If you are looking for a beautiful story that will make you not only believe in love again but in the Christmas spirit, I highly recommend this book for you. It was a triumph all around. 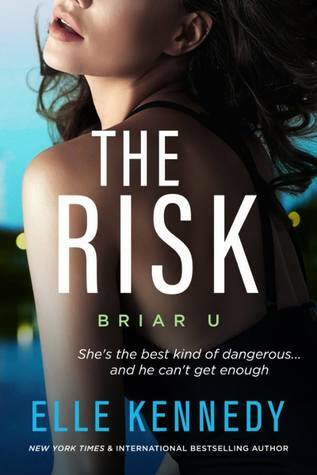 Bewildered by the fact that his attempts to get the one woman’s attention that he desires continue to fail epically; Erik sets out to find out what makes the object of his affection so uniquely different. To his surprise, she knocks him off his game with her answer. 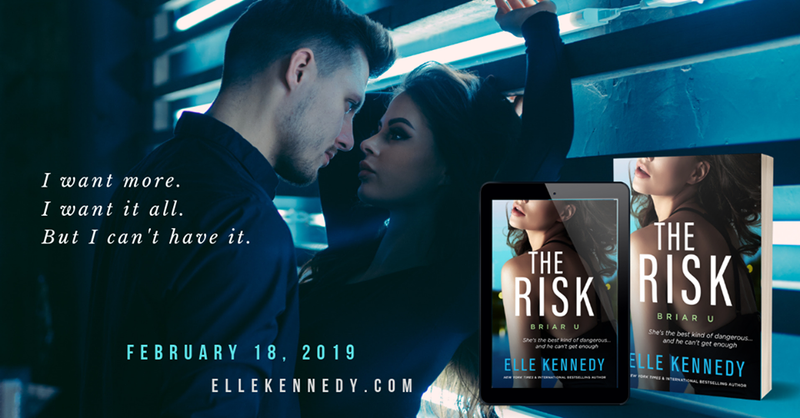 Blue isn’t looking for love and she certainly isn’t looking to be romanced by any hockey player that she meets at work, so when Erik turns on the charm to try and win her over she is underwhelmed to say the least. But, she has to hand t to Erik when he steps up his game and surprises her with his show of unexpected tenderness and affection towards the one person in her life that is her kryptonite. Soon, this self-proclaimed ladies man cannot get enough of the lovely Blue and vice versa. If you are looking for a heart-warming story, with enough spice to melt the ice of a few hockey rinks, look no further! 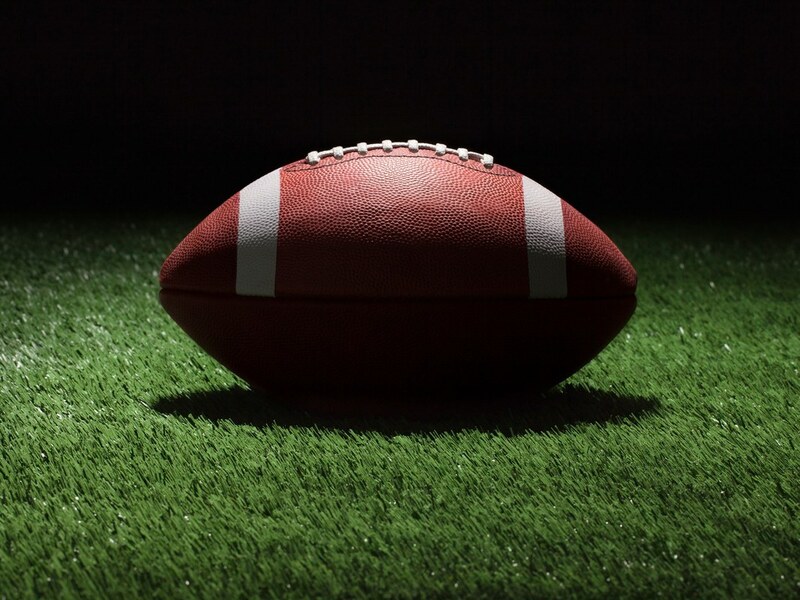 When Nick Jackson, the Mustangs' new rookie quarterback, swoops in like her savior, all she wants to do is fall into his arms. There’s just one problem... she’s sworn off football players and men for good. Be Mine was a beautifully written story about love conquering all, even through some of life’s most difficult circumstances. It seems, that when two people are meant to be together and willing to fight for one another, nothing can keep them apart – not time, distance, nor positions. 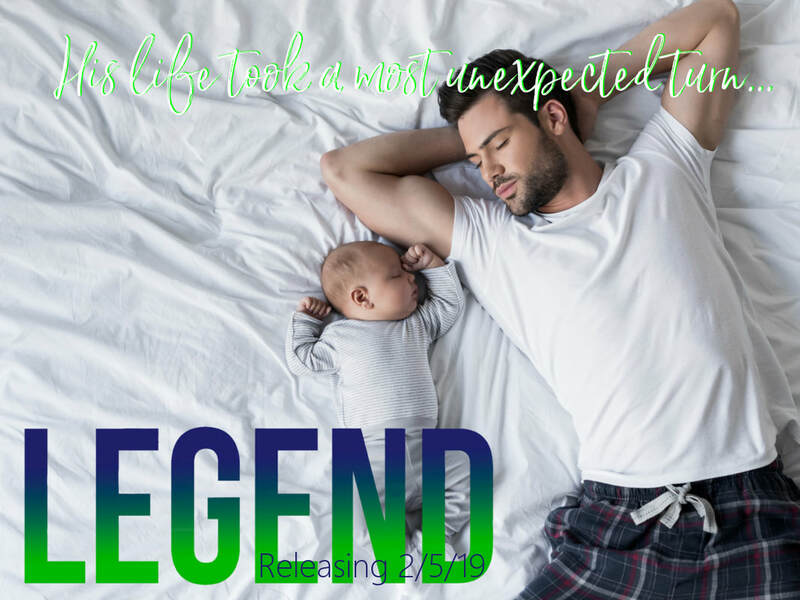 The story of this second Jackson brother, which started with their parents ever so brilliantly in one of my all- time favorite book series, The Woodland’s, bookends this romance exquisitely and I can guarantee this romance is one that will make you believe that anything is possible. They're two sharks in a fish tank . . Banner focused her energy on becoming the best woman sports agent in the business. 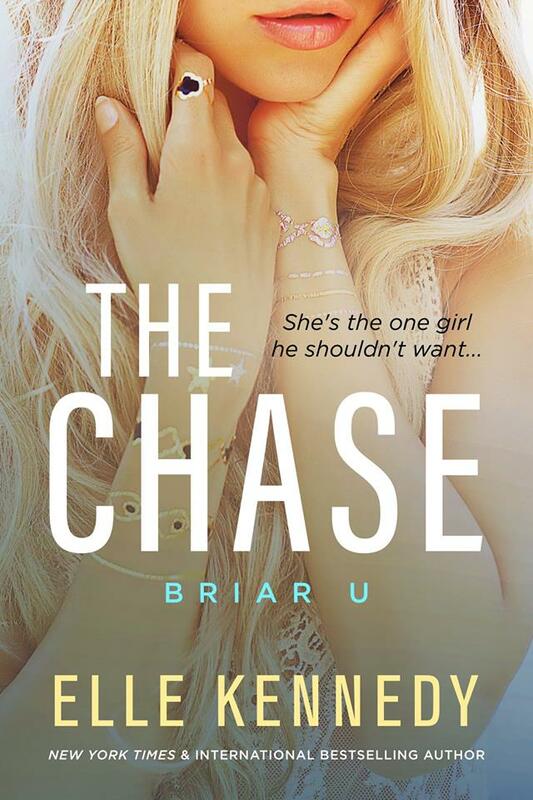 Only one thing could possibly side track her, which is her former best-friend from college, the one who crushed her spirits one fateful night ten years prior. Jared Foster always knew he would be a successful sports agent. He was born for the business. He is ruthless, fights for and never lets his feelings get in the way of business or pleasure. However, he has never been able to get his best-friend from college; Banner to forgive him for what he said was a misunderstanding – a college prank gone wrong. When the two are both relocated in LA at rival firms he has every intention of making Banner believe him. He just has no idea the amount of pain he has caused Banner over the years or the fight that he faces ahead of him to gain her forgiveness. So Hot -- it may melt the ice! 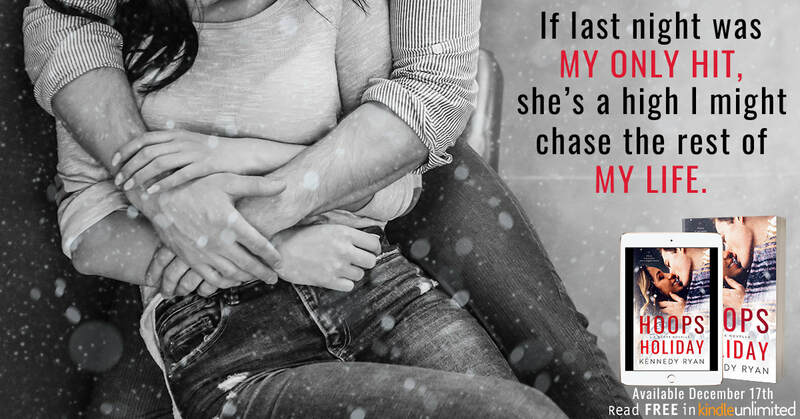 I absolutely loved reading the books from Sawyer Bennett’s previous hockey team series, The Carolina Cold Fury. But, she has taken things up several notches, in all “zones,” with her all new team series, the Arizona Vengeance. I relished my time reading Bishop. The dynamics between the two lead characters were incredible. 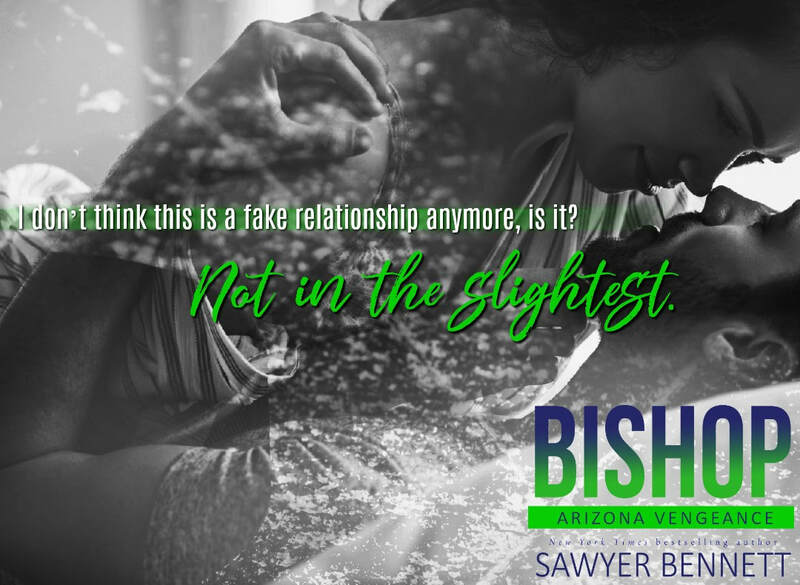 Bishop and his leading lady Brooke were great characters, which I felt drew me in to this story because I genuinely liked both of their personalities. They were also the type of characters that felt real. There were so many fantastic qualities about these two characters that I could not get enough! Reading about Bishop and his new teammates was an absolute delight! Not only is this a new team with a brand new cast of characters to discover, but as an avid hockey fan, I appreciated the more technical terminology describing the game play, giving it a more authentic feel. I fell head over feet for this new team and the guys playing alongside Bishop. I cannot wait to read more and find out who is going to “score” next. 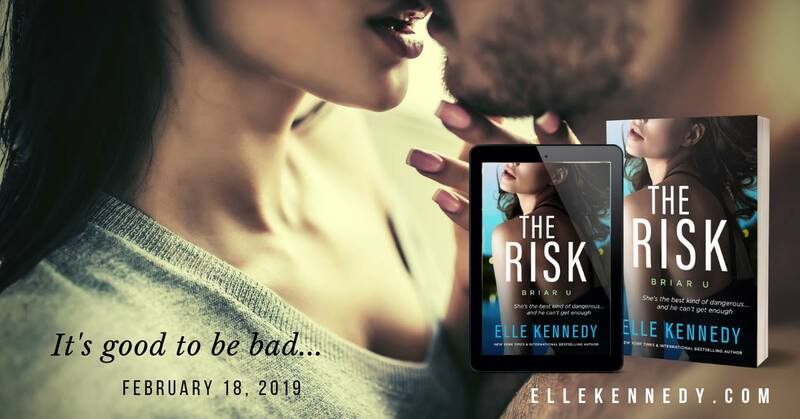 As a long-time fan of the Off-Campus Series books by the delightfully talented Elle Kennedy, I was practically salivating when I heard the news that she was going to be writing a spin-off series based on some of the characters she touched on previously. 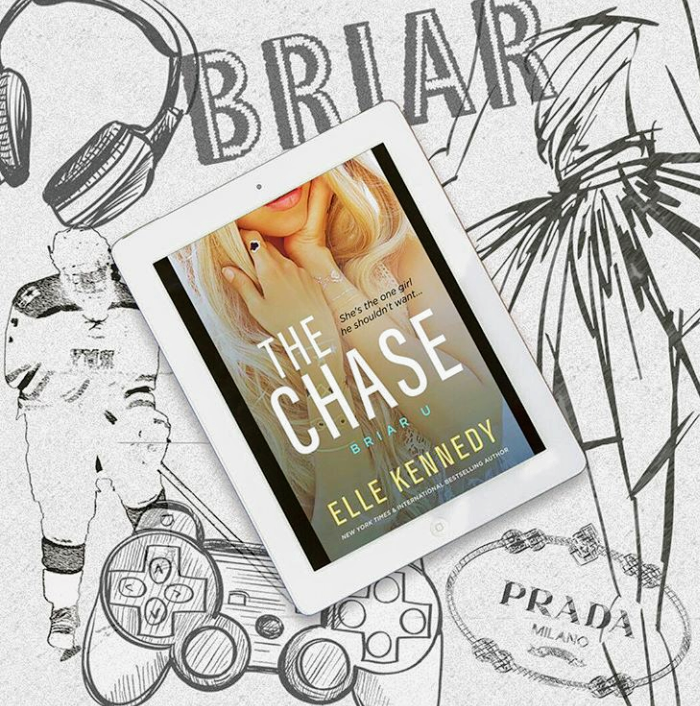 Loving all sports romances, especially, hockey and being such a fan of the Briar University characters that Elle has penned, I couldn’t wait to devour this novel. From the very beginning I was hooked. I was praying that Summer Di Laurentis would prove to be more than meets the eye, sure she seems to live a pretty charmed and privileged life; but what others don’t see is what made her such a great character. Summer was not only beautiful on the outside -- someone everyone gravitated towards, but she was also flawed and very relatable. Dealing with issues so many women of all ages have either faced or are currently facing today. She not only stayed strong but she persevered. Don’t let my love of Summer overshadow my admiration for all things Colin Fitzgerald! Fitzy, as he is known around campus, is a quiet wallflower, great friend, and teammate. Fitzy is just trying to keep his head down and pass his time in college. He enjoys playing hockey but he prefers spending his free time at home playing his video games even more. But, it is safe to say that Fitzy is helpless when it comes to Summer. Their connection is hot from the beginning and watching the two of them dance around their attraction for one another at times made me want to scream and shake them! So, what happens when two polar opposites spend time around one another? Well, it is safe to say that neither one of their hearts will be the same. All I can say is that I again am finding myself in love on the Briar Campus! I urge you to read this one because I am almost certain you will love it too. So often we hurt one another with our choices; especially choices that we make during big, life changing moments. Sometimes, however, we are able to turn those once hurtful decisions into the very best of our futures. Marek Fabritis is one of the Cold Fury’s hottest hockey players off and on the ice. When he learns that his one true love, is about to make the mistake of her life, he loses his mind! Gracen Moore was heart-broken when Marek left her behind to pursue a career in professional hockey. Gracen and Marek are both strong minded, passionate, and determined people. They are also stubborn to a fault. While they continue to rip each other to shreds verbally with hurtful words and accusations about the past, there is one saving grace. The one thing that has never changed on either side is the undeniable attraction they have for one another. There is an intense push and pull between both characters who continue to fight both themselves and each other in letting down their guard and learning to trust one another. 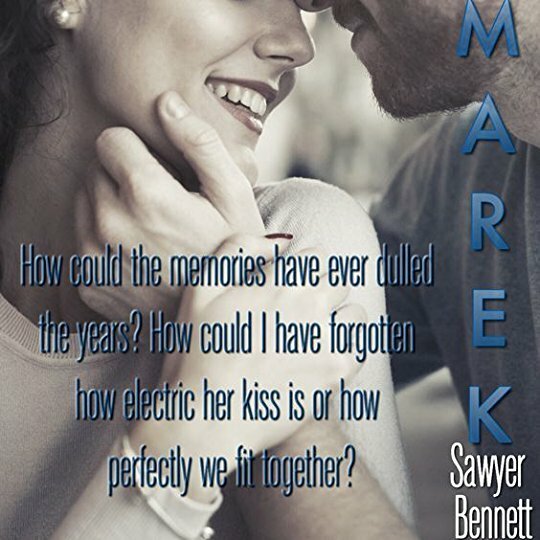 Marek and Gracen were two characters that I couldn’t get enough of and I was a bit saddened to get to the end of the book, I wanted more. Typically I enjoy when Sawyer adds more hockey to the Cold Fury books. In this case however, I was so glad she had less about hockey and instead added more heart. I absolutely loved every single aspect of this book. I am a life-long fan of all sports, especially hockey. So, when I saw this book years ago, I knew it was a must read. Pucked, was full of imaginative dialogue that had me laughing out loud and shaking my head constantly. Fair warning, some readers could consider the humor as crude, but it’s part of why I loved this book so much – the shock factor was brilliant! Let’s face it, hockey is mostly a men’s sport and most men tend to be rude and crass when they play sports. With the story being told from both characters point of views, in the exquisite way that she did, Helena hit the mark by encapsulating both characters perfectly. I could not get enough of this book. I am thrilled that this is only the beginning. Not only am I looking forward to the rest of the Pucked Series, but I am so glad that books can be read over and over again. This is for sure one of my favorites and I will be re-reading it soon. The story is set in the world of professional basketball and all that it encompasses. Two players who have been up against one another for years finally make it to the pros and find that now that they have made their dreams come true, they both want the same dream woman. I don’t want to give too much away so that is all that I will say as far as the men in this book. Our heroine, Iris, however, was written so poetically that I cannot put my feelings for her story into adequate words to express all of my thoughts. Kennedy took time to research this book in depth and as I read Iris’ story I could hear her knowledge in this storytelling. As someone who formerly worked with women getting out of violent situations at home, she was able to explain how hard it is for most women to leave. The shame women often feel who endure such struggles and how complex this issue truly is. 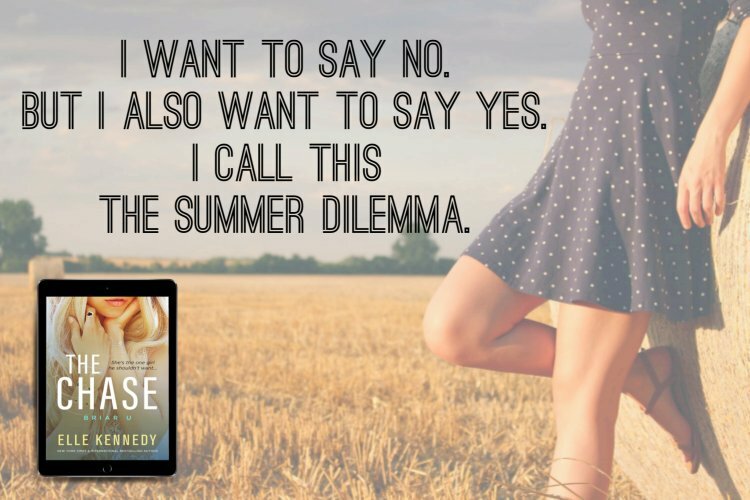 Kennedy truly lent her talents of writing this story to all women and I would highly recommend that all women read and share with a friend. We all need to unite together to end this “silent epidemic,” otherwise this horrific treatment of abuse will continue to cycle for a long time to come. 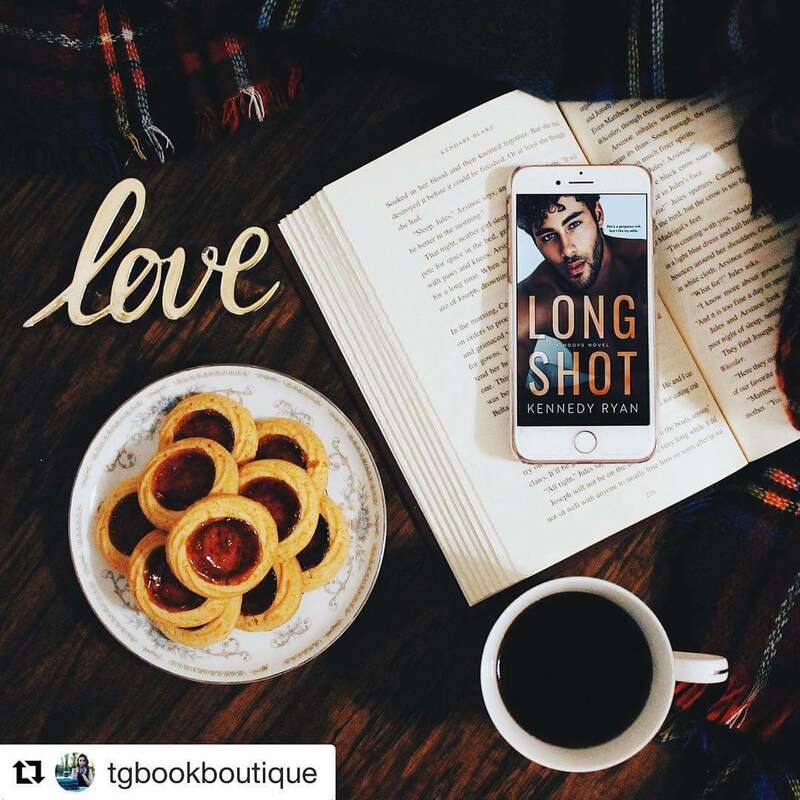 I thank you Kennedy for using Long Shot to educate us all.